Living Landscapes is an established landscaping business with over 10 years experience in all aspects of landscaping and driveways. At Living Landscapes, we are committed to providing a high-quality standard of work at a competitive price for all our customers. We work closely with our clients to ensure your project is completed to perfection. 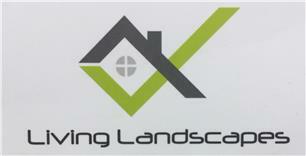 We enjoy providing homes and businesses with beautiful landscapes, gardens, driveways and patios. An admirable driveway can increase the value and appearance of your home instantly. With many years experience we can help you choose the perfect driveway to suit your home or business. Whether it is block paving, resin bound gravel or Indian stone we can help you decide on the many options. Patios can become an additional dining or entertainment area for your garden. Having a patio can improve the look of your garden while also having many other benefits. With lots of different ideas and materials you won’t struggle to find the patio to best suit you and your home. At living landscapes, we can design and build decorative garden walls, retaining walls, steps, raised flower beds and much more. Decking can provide extra social space that’s ideal for dining, entertaining or simply relaxing. Whatever the reasons for creating a decking area, it is one of the most attractive additions that can be made to your garden. Living landscapes can provide a different ideas and materials for you to choose from. Using the latest technology, a resin bound driveway or pathway could be perfect to improve the look of your home or business. Resin bound gravel bonds together small stones with high tech resin to form a firm attractive surface that allows water to drain through.